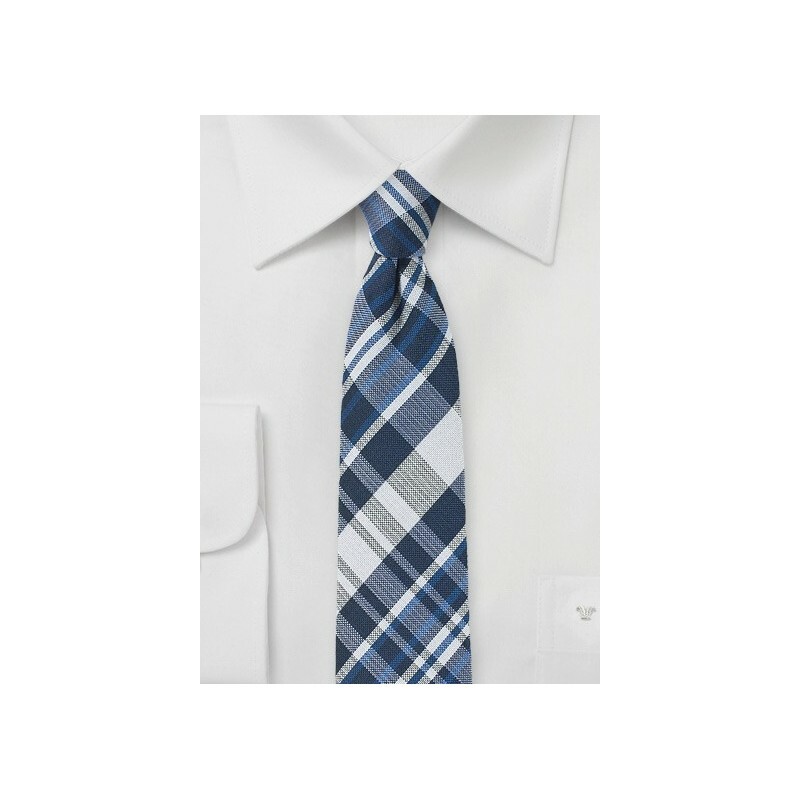 This modern tie is perfect for business and leisure. The slimmed down cut instantly adds a modern look that is further highlighted thanks to the trendy plaid design. A palette of different blue tones and silver nicely compliment all your classic suits and shirts. 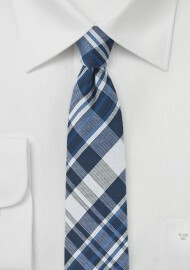 If you want to give your classic suits a modern make-over, then this tie will do the trick. Made by BlackBird from woven silk and cotton blend fabric.